Courtesy: RECOM Asia Pte. Ltd.
LEDs as electronic components weren’t originally designed for lighting, but that hasn’t stopped them from conquering the market with “electronic light” – and providing a new challenge to power suppliers since, unlike incandescent light bulbs, LEDs don’t draw real power so much as what is referred to as apparent power from the mains. Apart from that, the steep edges caused by the drivers create even more interference. International standards aim towards preventing malfunctions and even blackouts in the future. Incandescent light bulbs draw their power straight from the 230V AC mains, whereas LEDs use direct current, requiring drivers that rectify and smooth the alternating current from the mains. This involves a rectifier and a relatively large capacitor for storing electrical energy. Electricity can only flow when the potential on the rectifier is greater than in the capacitor, causing sudden heavy spikes – the current and voltage are no longer in phase, drawing apparent power from the mains that is higher than pure real power. These spikes have another unpleasant side-effect on the mains power supply – they create harmonics. A sine wave has a certain frequency known as the first harmonic, but the pulsing current also produces harmonics at three to thirty-nine times the frequency. Fig. 1: Pulsing electrical current on the right produces harmonics in contrast to the sine wave as shown on the left. Converting alternating current to direct current and smoothing the direct current at input is the only reason for this problem; a DC converter operating at a higher frequency downstream will produce and radiate additional output-related interference. Without correction, there’s a danger of our mains supply losing its balance with all these billions of potential sources of interference, so active power factor correction right inside the driver is essential – especially in high-power lamps. A series of important international standards aims achieve just that – EN61000-3-2, for example, requires power factor levels of more than 0.9 in LED drivers rated at 25W and above. Drivers that comply with the standard are listed as Class C in the data sheet. 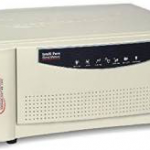 In the interests of keeping the mains power supply clean, RECOM has already equipped all of its drivers with active power factor correction controllers (PFCs) from 12W upwards and PWM installed between the charging capacitor; this generates several impulses synchronised with the input voltage, resulting in a virtually pure sine-wave charging current, improving the power factor to values above 0.95 and reducing the harmonics to half the amplitudes set in the standard. 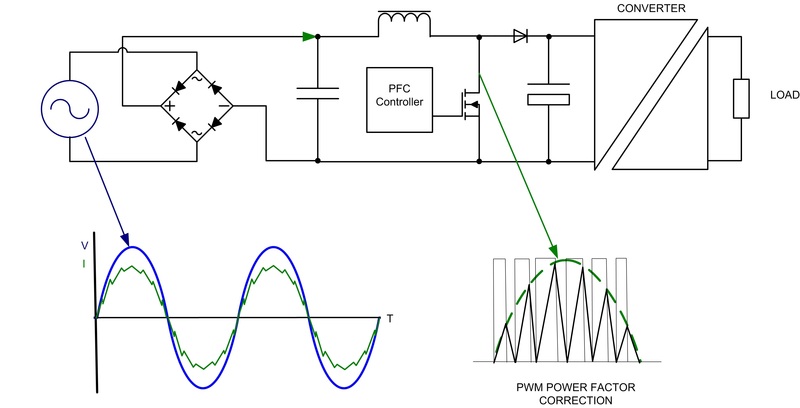 Drivers with passive PFCs use chokes and capacitors instead of complicated controllers to reduce harmonics. This technique produces values of between 0.7 and 0.8 – unsuitable for LED drivers rated at above 25W. Fig. 2: Pulse-width modulation controls the input voltage in active PFCs in such a way as to produce a very good approximation to a sine wave. You will often see brochures quoting abbreviations that don’t mean much to non-experts. EMC, for example, stands for electromagnetic compatibility, or the potential interference caused by an electronic device; EN 55015 specifies the permissible limits and suitable measuring techniques. 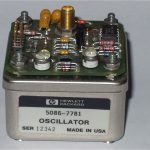 There’s a distinction between conducted and radiated interference – the former is measured at the mains supply input voltage for frequencies between 9kHz and 30MHz, and the latter refers to field strengths at frequencies up to 300MHz. There are also two classes – the less stringent Class A for industrial applications, and the far stricter Class B for domestic and office environments. It may be possible convert a Class A system to a Class B system by connecting external filters, but this involves adding on large components that reduce the system’s efficiency; integrating Class B driver modules into lighting at the outset makes more sense, at least for consumers. LED drivers equipped with SELV (safety extra low voltage) keep the voltage between any two accessible parts of the secondary circuit at or below 60V DC. This also applies to simple faults within the driver as may occur; the corresponding details are set in the 2006/95/EC LVD directive. Driver service life plays an essential role in developing sustainable lighting systems, as drivers are thought to be the weakest link in the chain. LEDs can easily manage fifty thousand operating hours and more, but you’ll be confronted with high repair costs or the costs of a whole new light if the driver fails before that, so it’s important for drivers to have matching service lives. Germany’s VDE institute for electrical engineering checks the lifetimes of lights, analyses the MTBF (mean time between failures) specified, and examines circuit designs for overloaded components. 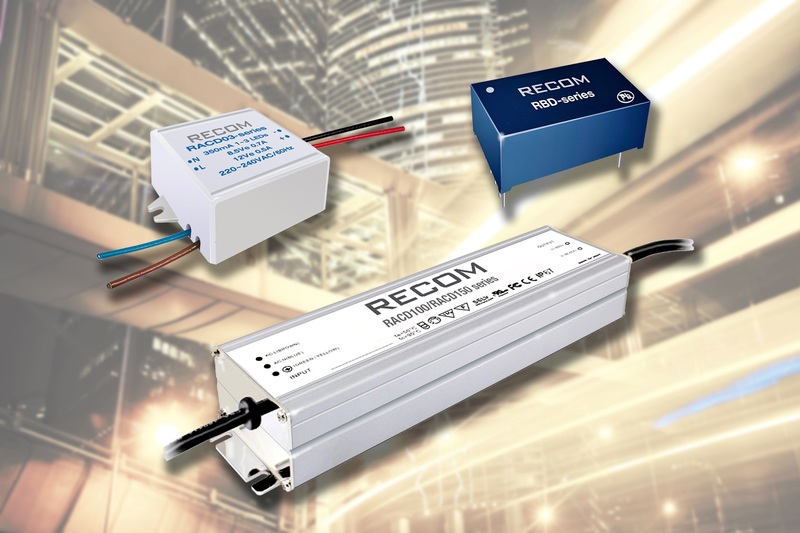 We at RECOM manufacture high-quality LED drivers; apart from the usual MTBF values with design lifetimes in excess of seventy thousand hours, we also use genuine values determined in HALT (highly accelerated life time) tests. Our RACT20 series is also equipped with dynamic PFC technology for infinitely variable dimming down to zero without burdening the mains with interference. National and international committees and the ZHAGA lighting industry consortium are already working on additional directives for standardising LEDs as the most important lighting source of the future.